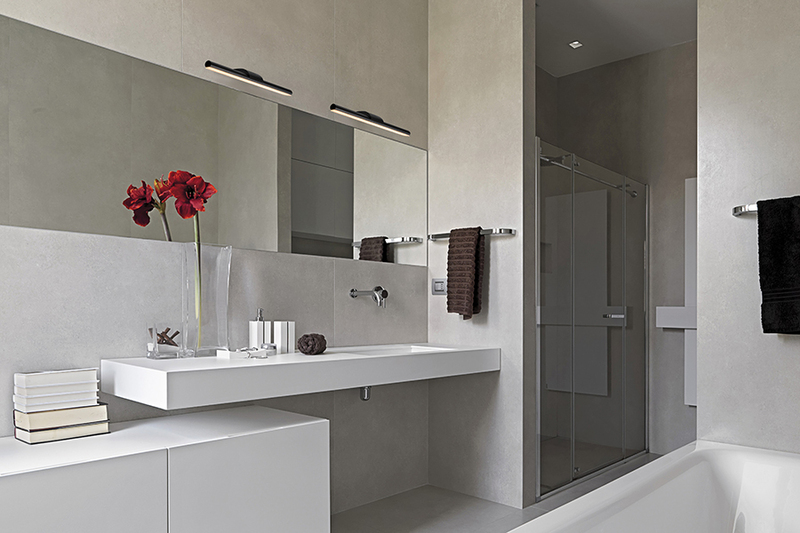 Look no further than the Echo Wall Light for an impossibly thin beam of light for bathroom applications. 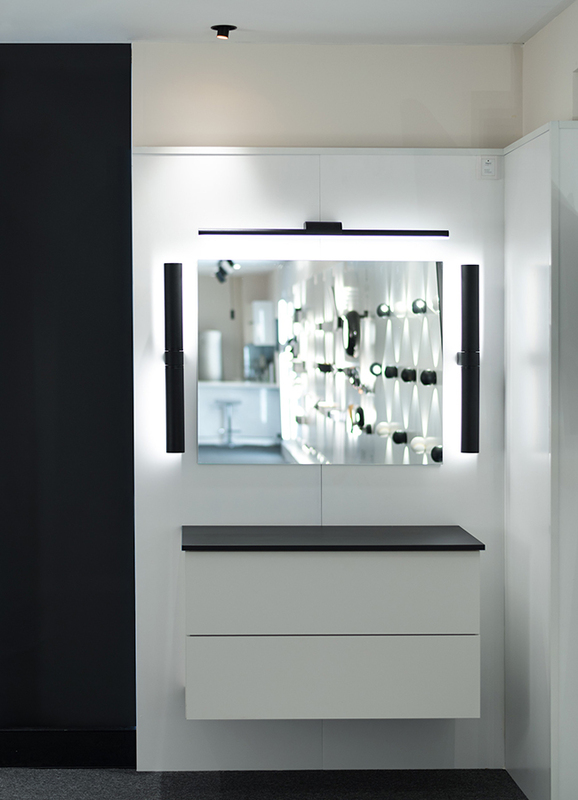 This wall light has been refined to be as thin as possible across its arm to blend seamlessly into vanities. 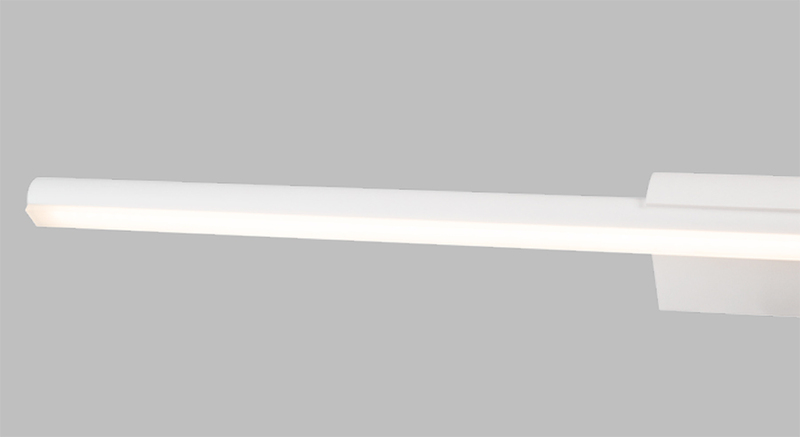 A unique protruding diffuser design delivers a wider distribution for task lighting applications.